Enjoy the apocalypse and save Sunset City in style with the official BradyGames strategy guide. 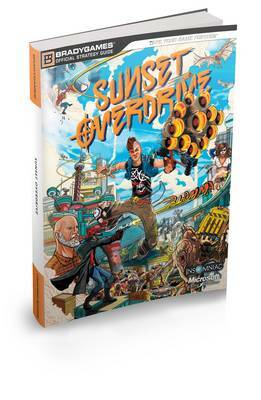 With a complete campaign walkthrough leading you step-by-step through the entire game Sunset Overdrive Official Strategy Guide provides gamers with tips and techniques to battle the mutant population of Sunset City. Traverse the game's open-world with speed and style using the detailed maps and grab every collectible. Successfully obliterate mutants and enemies with the coverage of the game's massive and unconventional arsenal using the official strategy guide. Master the Amps special abilities and customize your character using a vast number of possible combinations. Increase the Chaos and earn the best rewards with tips for the multiplayer Chaos Squad.